Got fully plagiarised results - what is my protection? I've got that negative situation now: freelancer provided results, which was also posted on the internet in public under another name the day before he delivered to me. So as for me there results is useless when posted in public, especially with different credits and before i get it. 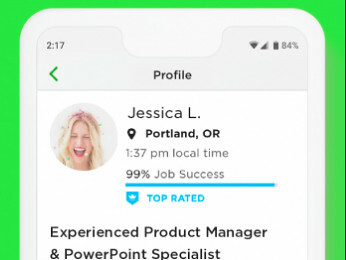 The worse - it was posted by another user, so it means either result were stolen or freelancer on Upwork got a fake ID. I informed the support immediately and initiated dispute in a proper time period, provided all the pieces of evidence, but i still have no idea - what is a possible outcome for me as a client? I was charged about $8k for that work, it is a big amount of money, and received the code which everyone could download for free the day before i received it - how does Upwork TOC render such a situation, if proven? I'm sorry to hear a contract with a freelancer didn't go as expected. I can see that you have an open ticket regarding this issue with your freelancer. Please know that I am unable to comment on the status of the case as this is a public community. I would also recommend that you refrain from posting more details about the issue so as not to misrepresent the situation. Anything that violates the Terms of Service of another website is considered a violation of the Upwork ToS. If the work submitted was in violation of the ToS of the website, you may note it on your open ticket so that the team can review this further. "You acknowledge, agree, and understand that Upwork does not, in any way, supervise, direct, control, or evaluate Freelancers or their work and is not responsible for any Project, Project terms or Work Product. Upwork makes no representations about and does not guarantee, and you agree not to hold Upwork responsible for, the quality, safety, or legality of Freelancer Services; the qualifications, background, or identities of Users; the ability of Freelancers to deliver Freelancer Services; the ability of Clients to pay for Freelancer Services; User Content, statements or posts made by Users; or the ability or willingness of a Client or Freelancer to actually complete a transaction." You may read more about it here. Dear Avery, thanks for your reference. The terms are clear. Could you give me some practical overview on the possible consequences if such a case occur for Upworks Client? 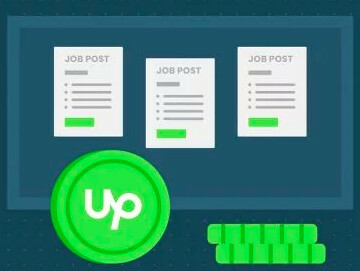 What is Upwork practical position? Please, explain how Upwork behave if rules are broken? Cancel contract or what? How you can help Client to protect from such a case? Is the code doing what it's supposed to ? If you were to use it, would you break any license associated with the version found in public domain? ...except, of course, when you're trying to pass the code as written by yourself in an academic environment. We do not know the exact purpose the code served. According to upwork TOS, rights to the work product belongs to the Client(after payment is made). In the Present case the client has in all probability lost those rights or for the optimists there is only a very faint chance of them having the right. There are several reasons people ask for customized software to be created.May be it did something that existing softwares did not do. May be those software provided somekind of advantage to client's business. What if it was something like a game that client wished to put on a disk and sell or offer for sale on internet? Academic Fraud is not the only possibility. What can upwork do or not do in this situation is a different matter. I cannot say for others but I would personally not feel it appropriate to say " Unless you were going to pass it off as written by yourself in an academic environment, you are very much fine with the stolen software & Never Mind the money you paid for it." No, that won't do the trick. Unless otherwise agreed upon, the work paid by a client that is not open source belongs to the client and the freelancer retains no rights in any part of it. I think it is highly unlikely that the original poster was paying $8000 for a homework assignment. Actually it is not clear whether the freelancer wrote the code under the contract and then made it available in the public domain(what reason would there be to do that? ), or took code already in the public domain (that he didn't write) and gave it to the client. 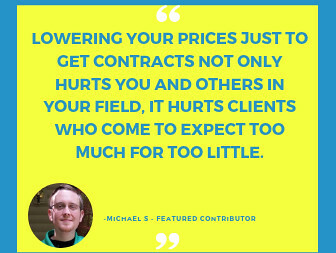 The former would bring no gain to the freelancer, while the latter seems more plausible. Andrei thanks for your thoughts! It is a good question, but let's see in any case the situation is abnormal and could be attempted to clarify within the mediation process, right? Also, the topic question is not the position of client or freelancer, but Upwork's position if it is clear that rules are broken, what's further? I just noted that I have a very close one, and really concerned about my and other Upworks clients further activity, since such a loophole might become a big problem even in case of full evidence of plagiarized work. It is noted that it is forbidden in Terms, but what's further? Does this only affect the rating of freelancer?